Jennifer Bullard Broggini is a member of the Board of Directors of The American School in Switzerland (TASIS). She is also a Director of the Ticino Chapter of the Swiss-American Chamber of Commerce and is an elected member of the town council of Savosa, Switzerland. Formerly she was a Director of Kieger AG, an institutional investment consulting company in Zurich. She was also a Director of Banque Fiduciary Trust in Geneva, Switzerland (part of the Franklin Templeton Group), where she was Chair of the Audit Committee. 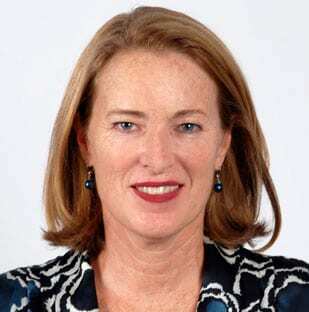 Previously, Jennifer held a number of positions during 15 years with Manufacturers Hanover Trust in New York and Switzerland (which merged during this period to become JPMorgan Chase), including Vice President of Corporate Banking, Head of Swiss Mergers and Acquisitions and Vice President of Private Banking. Jennifer was raised in the United States; her interest in Europe developed while studying in France during university. In addition to English, she speaks Italian, French and German fluently. Jennifer is married with two daughters and resides in Switzerland.